We kicked off our pop-up events on Sutton High St in April. Visitors to our stall enjoyed cooking demos, free tasters, and free recipe cards, as well as healthy eating games & activities and information. You can visit our gallery here. Our last Pop up stall was on the 30th July , please check out the blog section to hear how it all went. Thanks to all who were involved in supporting the events and delivering the message of SPK to a wider audience. The wonderful thing about food is how it brings people together. It's central to all our major festivals and events. So our idea is simple. Let's have some community banquets, bringing together our families, friends, and neighbours to eat local food. The banquets give us time to reflect and learn about how important food is for our culture, relationships and health. 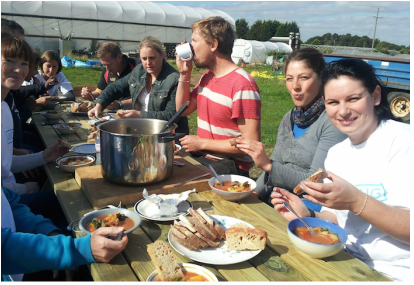 The banquets will take place at local Children’s Centres, local community centres and at Sutton Community Farm. check out the blog for more news! Our Cook Clubs are about getting together to learn and share the enjoyment of cooking and eating a good meal. We learnt how important this was last year when we trialled them with parents and children. 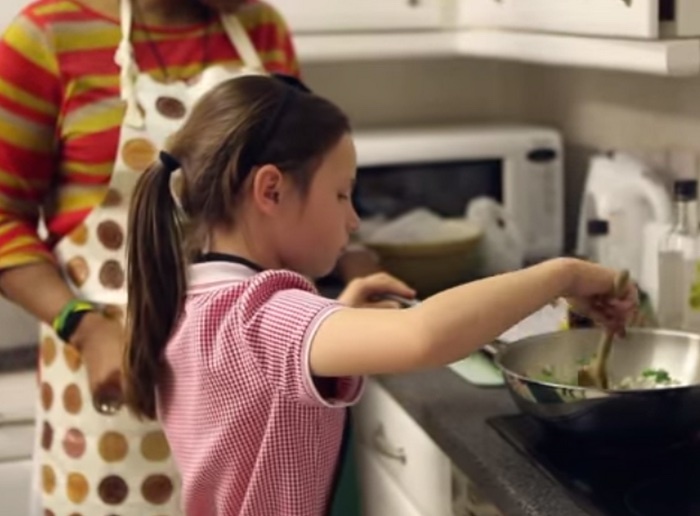 We've trained up a larger team of cook club chefs to run more cook clubs, helping families to be more confident with making great, healthy food. We are very excited to announce our new cook clubs are starting on the 13th Sept and running until 20th Oct. That's a lot of veggies! 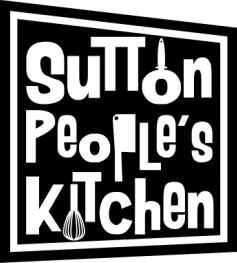 Except for the Farm Shop & Cafe project, Sutton People's Kitchen is managed by Sutton Community Farm as part of our mission to help people cultivate skills, eat well and have healthy lifestyles. The project is funded by the London Borough of Sutton’s Public Health team. We won't fill your inbox with lots of emails. We don't like that either. We will just send occasional emails with news about the project and events.